Showtime is the popular American cable TV service which features some of the most watched program series and motion picture movies being released from the US (United States). And as of January 2012, Showtime’s programming reaches approximately 21.3 million subscribers within the United States. l All of the latest big-screen movies + a fully comprehensive movie library. Watch all of the latest movies from The Weinstein Company, Miramax Films, DreamWorks Pictures, CBS Films, First Look Pictures, IFC Films, THINKFilm, Anchor Bay Entertainment, MGM, Sony Pictures, Paramount, and Disney. This includes famous films such as films as Pulp Fiction, Iron Man, Nine, All Good Things and Quentin Tarantino’s magnificent Kill Bill series. l Exclusive Sports programming. Watch Inside NASCAR, events produced by M-1 Global, and the Russian PTC company of popular Strikeforce fighter Fedor Emelianenko. l Exclusive SHOWTIME Comedy Specials. Watch all of the latest Showtime comedy specialty programming such as full live shows from your favorite stand-up comedians such as Kevin Hart. PLUS popular TV shows such as Nurse Jackie and Californication. HOWEVER, SmartDNSProxy.com is specifically designed to bypass geo-blocking and unblock regional restricted websites - which means you can unblock SHOWTIME (plus many more regional blocked websites like Netflix, Hulu, WWE Network, etc). from any country in the world! 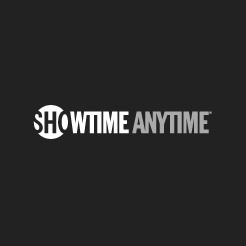 When you visit any regional blocked website using Smart DNS Proxy, you will be granted full access to stream and watch all of the latest content found on www.sho.com (Showtime). Sign up for your FREE Smart DNS Proxy Trial NOW!